Yes I say this literally. We have a load of stuff to catch up on. 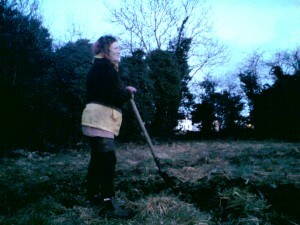 To bring you up to speed, the gardeners are now meeting on Wednsdays at 5pm. Hope you can join us soon. So far we have rediscovered the circle that was made last year and have just finished planting up the first quadrant with early potatoes. Still more to plant and both red and white onions too. It ain’t easy this particular bit. The grass is getting long and this makes the coaping a little difficult. Ah well, we shall plough on nonetheless. Little helpers like these really make a difference. 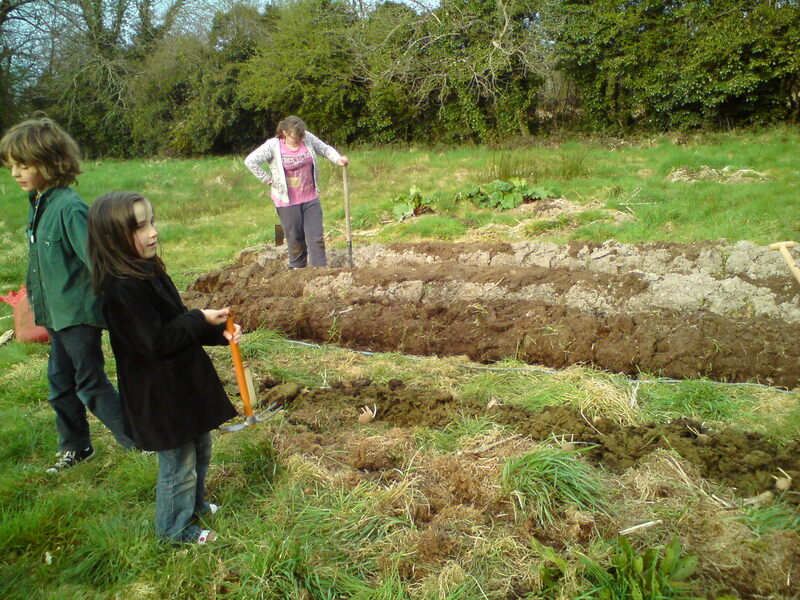 Soon we will be making the no-dig beds, sooo much easier. More later….